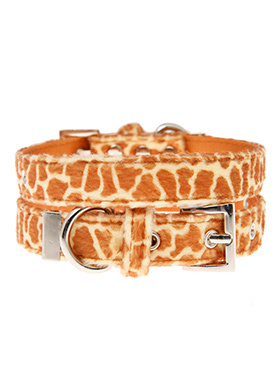 Our Faux Giraffe collar is a contemporary animal print style and is right on trend. It is a contemporary style and the pattern is on trend. It is lightweight and incredibly strong. The collar has been finished with chrome detailing including the eyelets and tip of the collar. A matching lead, harness and bandana are available to purchase separately. You can be sure that this stylish collar will be admired from both near and afar.